This is it! The last show of 2015. Thanks for hanging out with us this season. Y'all made it fun. And weird. (3:21-7:30) The Musical Guest: LOMA PRIETA. Buy "Self-Portrait" here. Ken Reitz, who was nicknamed “Zamboni” because he scooped up grounders on Busch Stadium’s artificial turf, spent 11 years in the bigs (he gets a MLB pension!) as a third baseman with the Cards (twice), Cubes, Giants and Pirates. In those 11 years, while playing a position dominated by quality offensive player, he hit .260, with an abysmal .290 OBP, and .359 slugging. (That’s a .649 OPS if you’re keeping score at home and aren’t good at maths.) 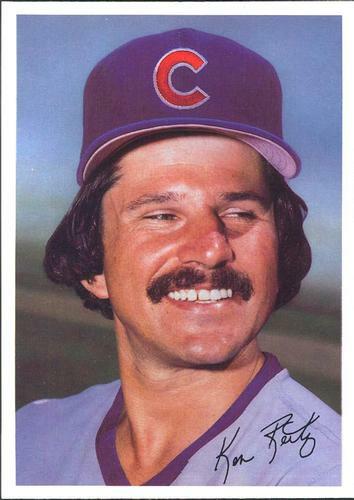 Reitz won a gold glove in 1975, and was an All-Star in 1980 despite posting a -0.7 bWAR that year. WAR was not a friend of Ken’s, as he finished his career with whopping -3.2 wins above replacement. A #FUNFACT from Wikipedia: Reitz was not known for his base running speed. This is reflected in one dubious Major League record. Reitz holds the record for most career plate appearances (5079) among non-catchers who finished their careers with fewer walks than times he grounded into a double play. That explains that anemic OBP, I suppose.